I would really love to actually know what James Cameron did on this film, as they've happily plastered his name all over the movie and pointed out that he did Avatar and Titanic. The reason I say this is because this is as far removed from those two and certainly isn't of the same quality. Basically a bunch of mad cave divers are rummaging around in the centre of the Earth, exploring underground caves that have never been explored before. A big storm comes and they all get stuck underground with little air, light and food, so decide to try and fine another way out. Disaster after disaster obviously follows with some very obvious plot points, like the "torch tooth" highlighted very early on. At times though you do really feel for the actors portraying their deaths as the whole situation seems very hopeless. 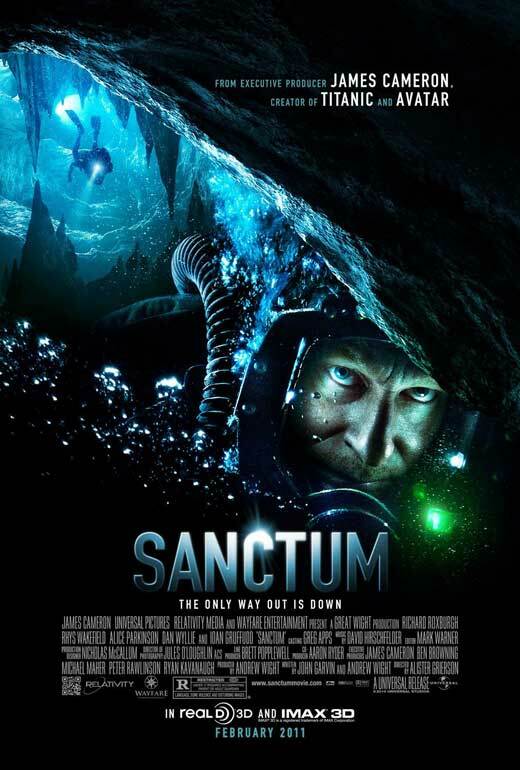 Good, but far from great film, and the 3D adds very, very little to the experience, except for the odd claustrophobic feel of the narrow, long tunnels. It certainly puts you off cave diving for life!